Do you have questions? Well we have answers. 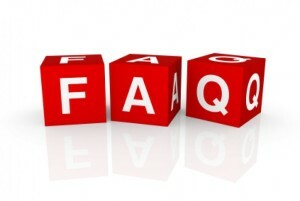 See below for answers to our most frequently asked questions. If there are questions you do not see below, feel free to contact us anytime. Q. Who takes care of registering or transferring my domain? A. We take care of all domain registrations for our clients. If you currently have an existing domain, we will work with your current registrar to move the domain to our servers for hosting. Q. How long does a website take to build? A. It really depends on the complexity of the site. Some clients want just a simple informational website with few pages to get their name out on the internet. Others prefer a more in depth site with several pages. However, most sites generally take about 3-4 weeks to set up depending on the scope of the project. Q. How do I get started with my website? A. If this is your companies first go at an online website, there are a few things to chat about. Remember, we’re a one stop website provider. We will take care of all domain registrations and transfers as well as all site design and hosting. Once you decide that you want to move forward, we will meet with you individually for a free consultation. This is where we scope out your companies goals and what types of messages you would like to express about your site. Q. Is email included with my website? A. Email is included on all accounts. All email can be accessed via any internet connection or set up through Microsoft Outlook or pushed through to Gmail. Q. Why should I choose a maintenance plan? A. Having a maintenance plan takes all the guess work out of it for you. With a scheduled maintenance plan, we work with you to make any changes or additions to your site, create email accounts, promote your site to all search engines, and much more. Q. What if my website goes down? A. If your website goes down, we’re are alerted right away and work with our serving host to resolve any issue in a timely manner. All email is stored on our mail servers and delivered once the site comes back up. Typically if a site goes down, we’ve seen that its no more than 2-4 hours. Q. What domain names are available to be registered? A. In order to check what domain names are available to be registered you can use our free on-line search facility – called WHOIS – which enables an enquirer to find out whether a domain name is available and if not the organization or person to whom it is registered, and when that registration was made. Q. Can I make changes to my site once on24web builds it? A. Yes. Changes to your company or personal website can be made after the first 30 days of the site going live. Customers are encouraged to choose a maintenance plan that fits their business needs.